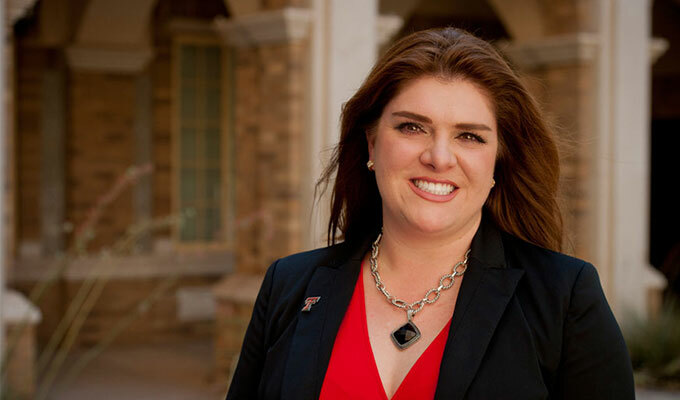 Victoria Pineda, CFRE, assistant vice chancellor for Institutional Advancement at Texas Tech University Health Sciences Center El Paso (TTUHSC El Paso), has been chosen to participate in Leadership America’s class of 2016. Pineda is the only participating El Pasoan out of the 52 women who were selected from across the country this year. The program focuses on improving the leadership skills of prominent women with regards to the issues that surround women in their professional and personal lives. Leadership America is a forum for women leaders who are making a difference in their respective spheres of influence, in enterprises large and small, and in cities across the nation and around the globe. More than 2,000 women have graduated from the program since its inception and have include prominent figures in business, education, and politics. This year, the Leadership America program will take participants to Washington, D.C.; Phoenix; and New Orleans. Leadership America is part of Leadership Women, Inc. (LW), a nonprofit social enterprise. Launched in 1988, Leadership America is for the established woman leaders whose responsibilities are national in focus.